The RD-33 three phase reference standard is one of the most versatile reference instruments ever. The RD-33 has a typical accuracy within traceability uncertainties for all measurement functions across its entire operating range, with a maximum worst case accuracy of ±0.01%. This worst case accuracy specification includes the variables of stability, power factor, traceability uncertainty and test system errors. A unique design makes the RD-33 unsurpassed in its ability to accurately measure “real world” waveforms. The RD-33 reference meter includes an exclusive analog to digital signal converter that is combined with Radian Research’s renowned electronically compensated voltage and current input transformers and a hermetically sealed reference. This combination provides the highest degree of accuracy, stability and versatility offered in a portable three-phase standard. The Harmonic Analysis option makes it possible to analyze loads through the 64th harmonic order. A built-in Comparator option provides automatic calculations of test results for the meters and standards being tested. The RD-33 can be used with a controlled current source to test revenue meters and reference standards. In field applications, the RD-33 can perform a true three phase meter accuracy test using an existing service load. 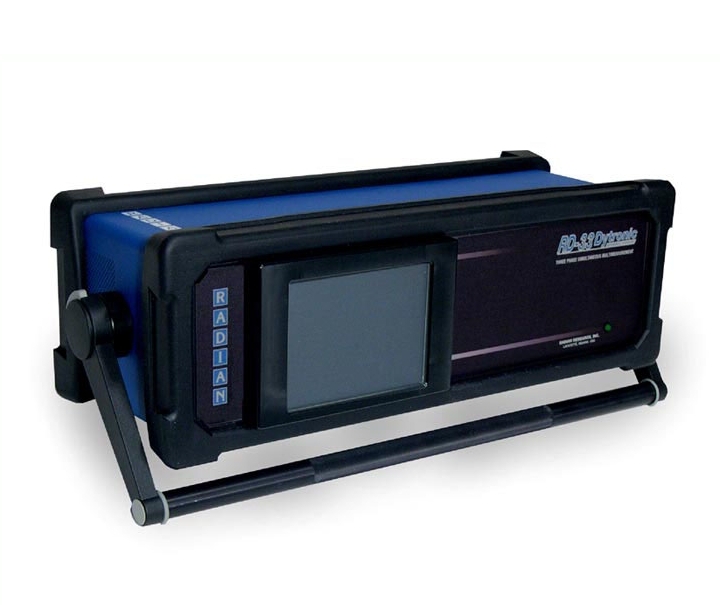 Pickups to sense meter disk rotation or calibration pulses of infrared, visible light or KYZ variety plug directly into the unit. The RD-33 is ideal for testing high-end energy meters found in power plants, substations, inter-tie points and at large utility customer accounts. The RD-33 is also the perfect complement to relay test sets where it can serve as an active reference standard when testing meters or can be used to periodically certify the accuracy of the test set itself.